BombItUp Apk SMS Bomber Info. How To Use BombItUp SMS Bomber Android App? How To Stop BombItUp SMS Bomber App? Are you looking ahead to get the latest version of BombItUp Apk SMS bomber download link so you can bomb your friend or family’s message box by sending lots of text messages or SMS?. Well if your answer is yes then you are on the right internet page. As you continue to read further in this article, will be talking about what actually a BombItUp SMS Bomber apk is? We will also be mentioning some of the tops yet important features of the android application. 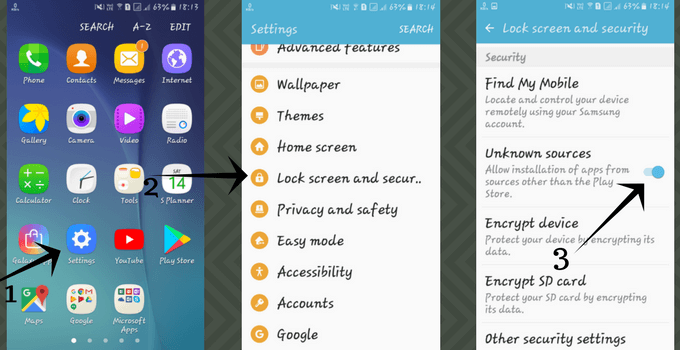 Also if you do not have any kind of previous knowledge about how to install an android apk on an android device. Then you should not worry as with this article we will also be sharing a short yet detailed tutorial about how to install the SMS bomber android application. Aside from all these things, we will also be sharing a short tutorial on “How to use the SMS Bomber android application”. So you can have a better idea about the BombItUp Apk SMS bomber android app and its uses. So let’s just head into the topic and explain each of thing one by one without wasting much of the time. Also, Check – GBWhatsapp Apk. BombItUp apk is an SMS bomber application developed for Android-based smartphones. The basic functions offered by BombItUp — SMS, Call and Email blasting — without paying anything. You can see the screenshot of the latest version of Bombitup apk. The current version of BombItUp apk is 3.02 and you can download it from this page — for free. However, before we really go ahead and start talking about all these topics here are a few information about the SMS bomber application that you should know. Well, the SMS bomber app was developed by Mr Udit Karoke, and it is one of the most preferred yet best SMS bomber applications available on the internet that people usually use to bomb on someone’s phone number. We can not deny the fact that, there are lots of other SMS bomber applications that exist and can be found on the Internet. However whenever it comes to doing the job in the best way possible. Then SMS bomber apk is the one you should go for. You May Also Like – VidMate APK. In simple words, you can say that the BombItUp Apk SMS bomber is an application which sends quite a lot of messages to a single phone number at a time to fill the message box with lots of smses. The SMS Bomber application’s mechanism is as same as the traditional SMS service, and it works the same way. The only difference between both of this mechanism is that SMS bomber just duplicates the same text and sends to a phone number multiple times on a large scale. However, the SMS does not do any harm to the smartphone it’s just that people often use the SMS bomber apk just to have fun and nothing else. You Might Also Like – Lucky Patcher Apk. What’s new in 3.02 version? Now Blast Your American Buddies. 2 More Providers For India. Main Task Sending Bulk Messages. The best thing about the SMS Bomber android app is that the app works absolutely fine while connected to a poor internet connection. So just in case if you are facing slow internet connection issue then do not worry, you will be able to use the application. The SMS Bomber app does not just work the best with slow internet connections, but the app also can be used while connected to a 2G network also you will not face any trouble. Another best thing about the SMS bomber android app is that it is completely secure and safe. This simply means the victim will not be able to see who is actually using the SMS bomber APK in a direct way. However, the computer professionals or you can say the IT professional will be easily able to track your information and as a result, you may get into some legal issues. The SMS Bomber android apk is extremely data saver which simply means that the app will not burn your mobile data too much and by spending a few MBs you will be able to bomb someone’s message box. One of the good things about the SMS Bomber android app is that the ads are placed nicely on the App. Your user experience will not get ruined by some pop-up or annoying ads. Also, you can download the SMS bomber for Android for free even you do not have to spend a single penny to use the app. As it is completely free to use android application. You may face a lagging issue while using some of the android apps. But with the SMS bomber app, you will not face any lagging issues. In addition, the SMS bomber app is super easy to use, and you can do multitasking while keeping the app open in the background. With the help of the SMS bomber android app, You will be able to send around 999 texts at a time. As mentioned above using the SMS bomber app is super easy to use. You will not need quite a lot of knowledge to understand it. The good thing about the SMS bomber app is that you will not need to root your android smartphone in order to install and use the SMS bomber android application. SMS bomber may get into illegal activities if you do not use the application carefully. The SMS Bomber only supports Indian Phone Numbers. So if you are a citizen of the United States or any other country, then you will not be able to use the app. Now that you know about the features and pros and cons of the SMS bomber apk. It is the time to talk about our third question which says “How to download and install the SMS bomber APK?”. However, before we really go ahead, you have to make sure at first that your android smartphone supports app installation from unknown sources. If it does, then you can skip this part if it does not then here are the steps that you have to follow. At the very first open the settings page of your smartphone. Then head to the privacy section. Over here, you will see an option that says “Allow installation of apps from unknown sources”. So all you have to do is enable the feature, and you are all set to install the SMS bomber android app. Here is the visual guide to allow installation of apps from unknown sources. First of all, you have to download BombItUp SMS bomber for your Android smartphone. So to download SMS bomber apk, you can click on the below-mentioned download button. Note: This link will redirect you to the download page of 100% working SMS Bomber BombItUp Apk. Once you click on the download button, the SMS bomber download process will start. It will take a few moments to get downloaded. So once the file is downloaded, you have to locate it on your smartphone. Once you locate the downloaded file, it is the time to go ahead with the installation process. So simply tap on the downloaded file, and the installation process will start. In order to install the SMS bomber app at first you have to tap on the install button, and then you have to follow all the screen instructions. At the installation, you will get to see the Open button. So simply click on it and then your android smartphone will launch the application. Once the application is launched, you are all set to use the SMS bomber android application. So after installing the SMS bomber android app open it by tapping on the App Icon. Here you will get to see a box which will ask you to enter a phone number. While adding the phone number you have to make sure that you are adding an Indian phone number. As the SMS bomber app works only with the Indian phone numbers. Also, make sure you are avoiding adding the country code. In simple words do not add “+91” in front of the phone number. And in the count box, fill the number of messages you want to bomb. Once you are done entering the phone number, all you have to do is tap on the start process button. The button will now start the operation and start sending a bunch of texts to the number that you have entered. You can see the screenshot below for an example. So that is the whole process that you have to follow in order to use the SMS bomber android application. Now lets come to the second question. Well as you have started the operation. So the next question is that how you would kill it or stop sending the SMS?. Well, the answer is quite simple too. All you have to do is tap on “Stop Process” button on your smartphone screen. So simply tap on the button, and the process will get terminated immediately. But what if someone else is bombing your message box with the SMS bomber app. So what to do in such cases? Well, do not worry SMS bomber also has an anti-bombing feature. By using the feature, you will be able to protect your phone number from getting bombed by the app. You can use this app to protect your number from unwanted bombing as well. All you have to do is download the app and enter your phone number, and that is it. Now the SMS bomber android app will not bomb your message box. However, before you go ahead and start bombing someone’s phone number, you should know that you have to be extra careful with the application. So according to our advice, you better do not try the app to bomb an unknown or random phone number. As it will lead you to face some illegal issues and someone may file an FIR against you. However, if you are planning to bomb your friends or family member’s phone number then it is completely fine, but you better stay in a limit. Note: We (Trickizm.com‘s team) shared this app just for information purpose. If anyone is doing any illegal work by reading this article, then we will be not responsible. We also shared the method to get protect yourself because our team never wants to hurt anyone. So that was all for the BombItUp Apk SMS bomber app and its features and pros and cons. Make sure you are having fun with the app in a safe way and not bombing people much. Also just in case if you have any questions in your head then do not forget to comment below, and we will surely help you out. Also, in the end, you should know that this piece of content will be updated time to time so if you ever feel a need of the BombItUp Apk SMS bomber latest version later in the future do check out this webpage before checking anywhere else.